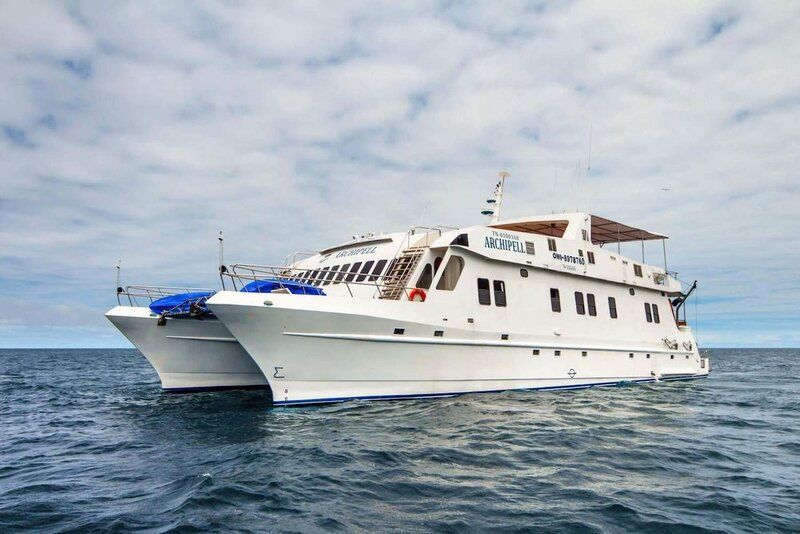 Motor Catamaran Archipel I cruise around the great outdoors of the breathtaking Galapagos Archipelago, where you will keep discovering one surprise after another! Every day we anchor at two selected visitor's sites and organise at least two excursions. You will observe nature from different perspectives with our balanced excursion programme, or even during your spare time. 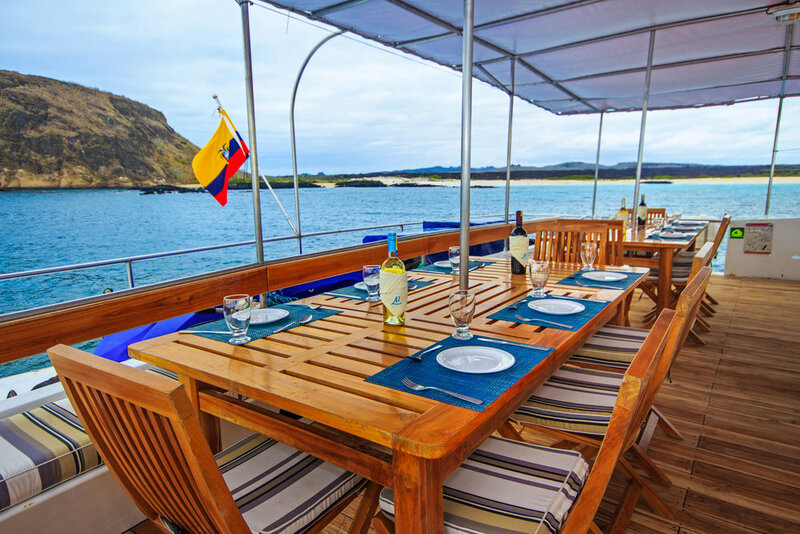 The Archipel Catamaran is one of the more affordable galapagos cruises and the vessel was recently refurbished in 2017. On the Catamaran Archipel, there is enough space on the boat to host 16 passengers comfortably in the 8 Cabins with seaview. 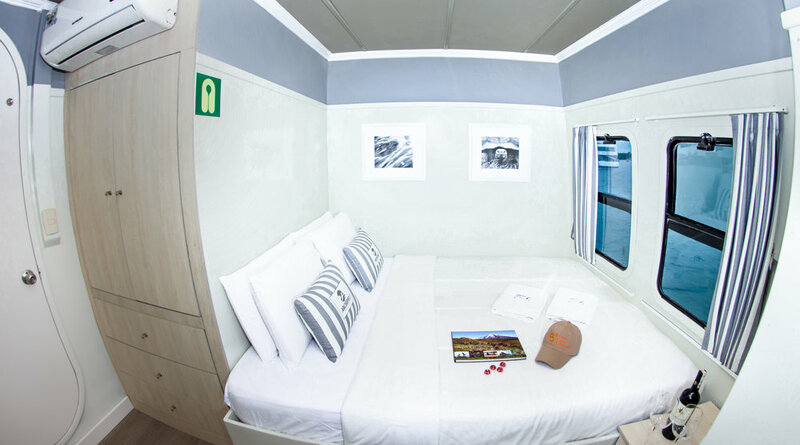 Each cabin is comfortably situated on the main deck with private bathrooms, warm water, double or twin beds, bed-side table, and spacious closets. 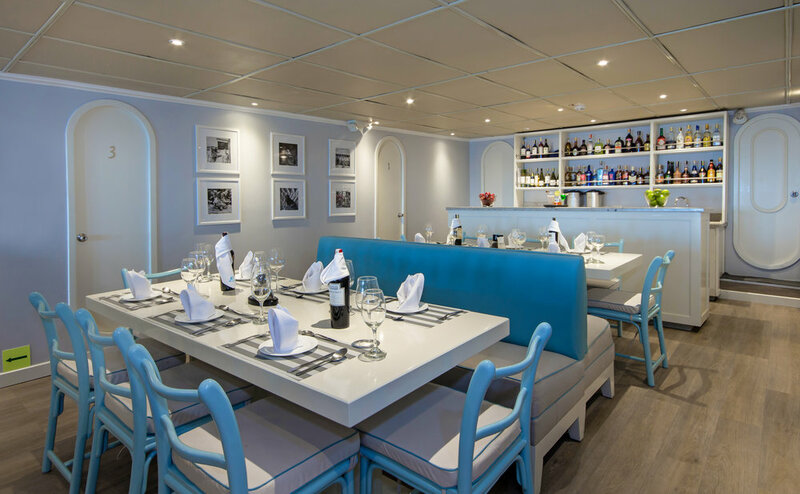 Common areas include a dining room, bar and social area on the main deck as well as a beautiful sun deck with comfortable with al fresco dining on the top deck. 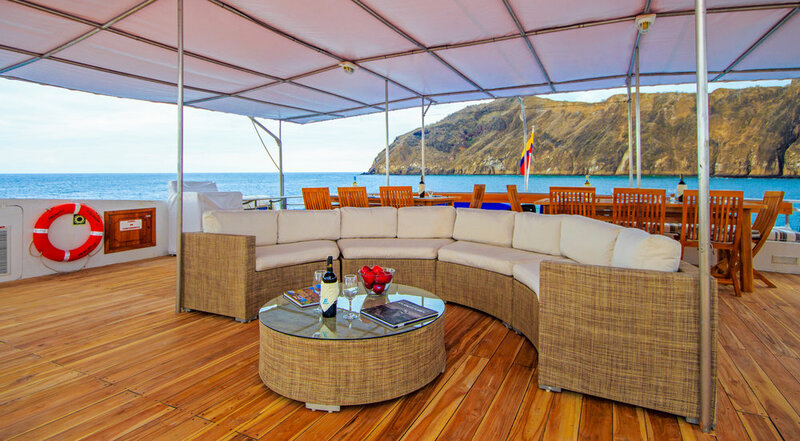 This is the perfect Catamaran Yacht for group, family and individual travellers. 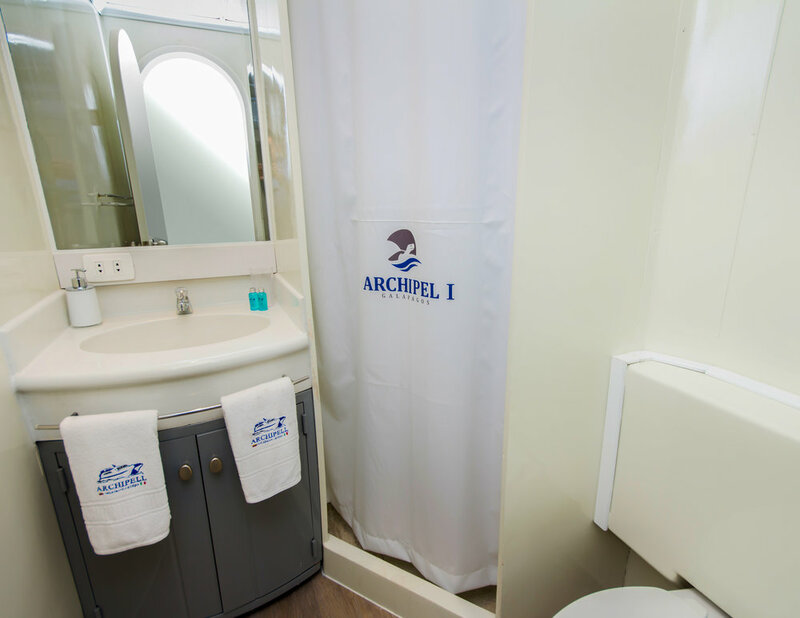 Whether you are looking for a shorter 4 or 5 day itinerary or a more extensive 8 day cruise, the Archipel is suited for all. 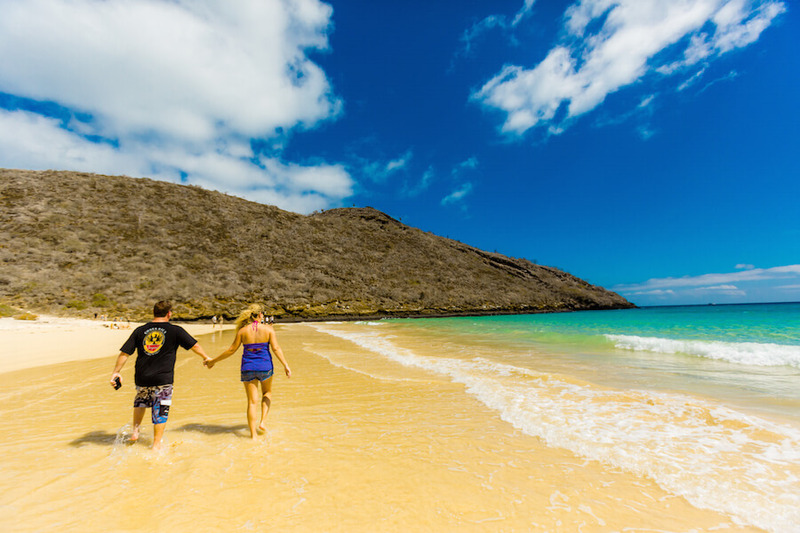 There are two routes per each itinerary and it is possible to combine them in order to see even more of the Galapagos. Get out on the water with the kayaks or relax on the sundeck in spare time. 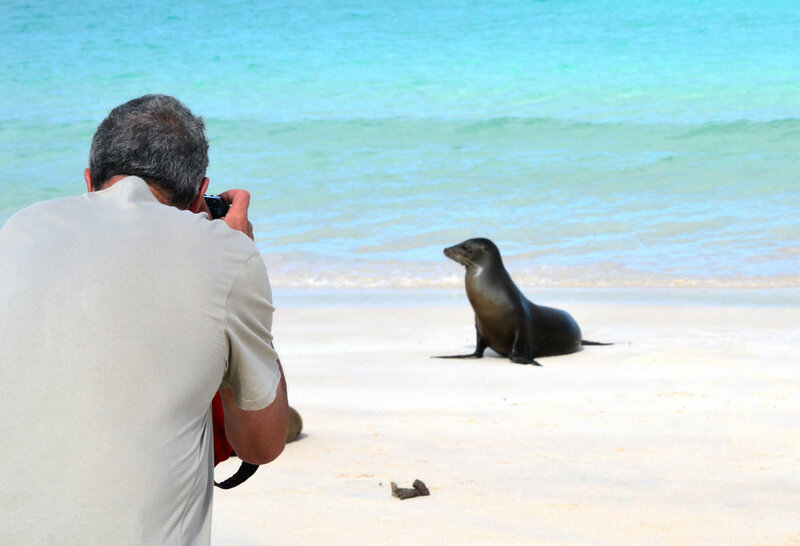 Each cruise is accompanied by a certified naturalist guide and is full of activity and shore excursions.